As we continue to see Denver based companies recruit new employees based on modern collaborative office spaces + ‘perks’ offered, such as free food and game rooms, here is a surprising result from a survey done by Oxford Economics on what is at the top of 1,200 participants’ workplace wish lists…… Can you guess what the winner was? UNINTERRUPTED WORK! (…none said free food) Of those surveyed for this particular study, 74% worked in open workspaces. While this office design concept has received heavy backlash due to noise and privacy complaints, we are sorry to say it is definitely NOT going anywhere soon with real estate costs still on the rise. Fast Company recently published an excellent piece on 10 Design Ideas for the Perk Workers. Below is a sampling of our favorite ideas. You can view the article in its entirety here. Providing even sound is very important. If you are designing open meeting areas, ensure those areas are adjacent to circulation, and also place quieter areas near each other. The millennial workforce is inspired by collaboration and activity, so design a space that offers semi-private offices that are visually connected to the rest of the office. The Altos line by Teknion offers beautiful semi-private workspaces. 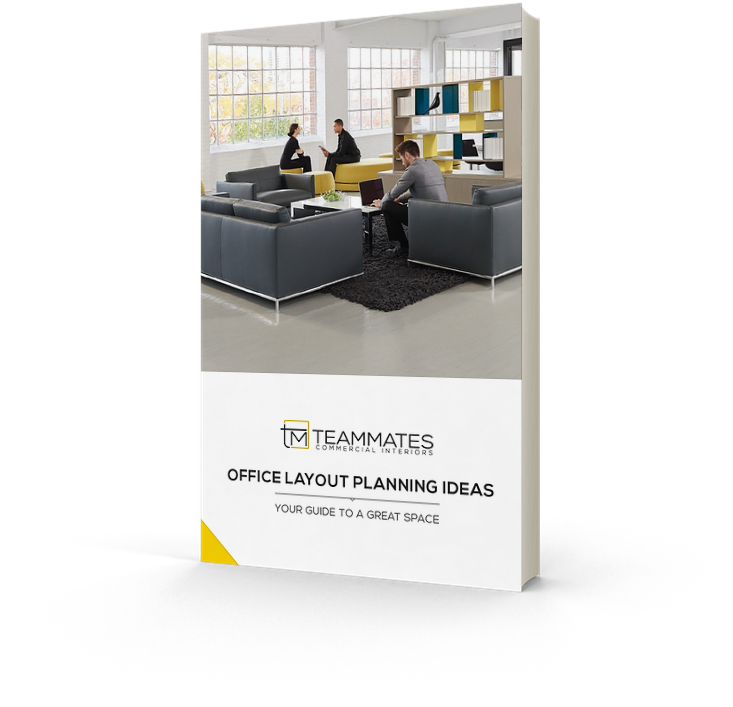 Having options of quiet zones, collaborative areas, and semi-private rooms offers flexibility for users to relocated based on the type of work they are doing. Teknion’s new Zones Collection offers excellent choices for different tasks. This is pretty self-explanatory! Teammates offers a wide array of high quality, award winning, furniture that would make any millennial worker satisfied, from modern lounge furniture, to task seating, to walls, to collaborative stations, and much more. AND AS A LAST RESORT…… HEADPHONES! Collaborative spaces need to be EXPERIENCED, and Teammates’ NEW showroom showcases it all!! Click below to schedule a free showroom tour. We are experts in the furniture industry and would love to help you design your dream work space!